Founding his own company out of a passion for the natural world, Will Bolsover has proven his commitment to the celebration and protection of wildlife and the environment it’s in. We talk to the dedicated conservationist, traveler and company founder about the principles that drive Natural World Safaris forward. How did you first go about setting up Natural World Safaris? It was born out of a passion for wildlife and conservation. I spent a number of years as a guide, leading tours across Africa to destinations including Morocco, Madagascar, Ghana, Gabon, Sao Tome, the Republic of Congo and the Central African Republic. I helped establish the first ever gorilla trekking safaris in Gabon and Natural World Safaris was the next natural step. The launch in 2005 united all the skills I had gathered to date. The company steadily grew as we collaborated with expert guides and conservationists to form a network of specialists operating around the globe. What experience did you have of safaris before this? My experience was twofold: Guiding or leading trips throughout francophone Africa as well as working for a gorilla safari specialist. For quite some time my experience was predominantly safaris that revolved around the rainforest rather than savannah regions. It was not for some time that I went on a ‘traditional African safari’. To that extent, I was much more ‘swamp’ than savannah based to start. Did you begin with the plan to expand to other countries? The growth was really organic. We set out focusing on the knowledge and expertise of the team in niche areas of the world. We always focus on the wildlife as opposed to the destination, putting people in the right place at the right time for extraordinary encounters. It’s really what sets us apart from other travel companies. However as the team grew so did our network of operations and so we were able to offer safaris all over the world. Has conservation always been an important aspect of the trips? Sustainability is the cornerstone of the tourism industry and working in wildlife travel we really pride ourselves on putting conservation at the heart of everything we do. We have always supported grassroots projects at every opportunity to help safeguard the future of endangered wildlife and habitats. What initiatives does the philanthropic side to your company involve? We actively drive vital conservation efforts on the ground by working with leading wildlife specialists and conservationists to create safaris that showcase wildlife and enable people to be actively involved in conservation. For example, we offer itineraries that give people the opportunity to protect the future of giraffes in Namibia, fitting GPS collars and helping collect valuable data about the population. We are proud to join the leading non-profit conservation organisation, African Parks’ new Conservation Travel Initiative, as one of only a few international travel partners. This initiative will focus on sharing the work of African Parks through one-off expeditions and limited offerings. 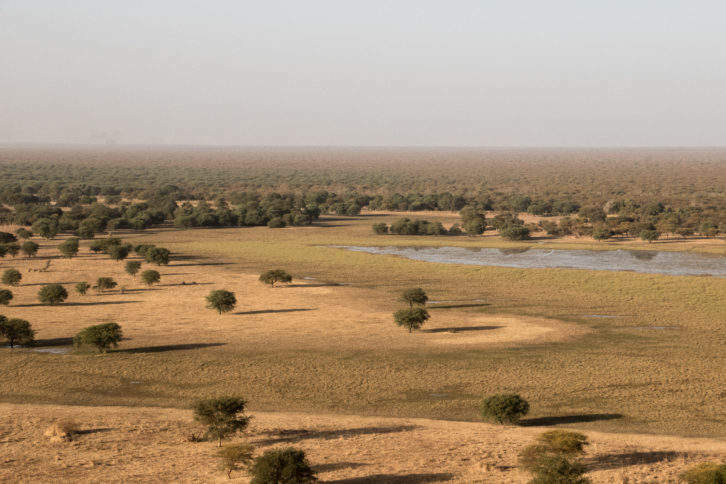 Natural World Safaris and African Parks will strive to offer these special expeditions to emerging destinations in its conservation portfolio, namely Zakouma National Park in Chad, the Bangweulu Wetlands and Liuwa Plain National Park in Zambia, Odzala-Kokoua National Park in Congo-Brazzaville and Akagera National Park in Rwanda. These expeditions will highlight the contemporary conservation work of African Parks and attract individuals with a strong interest in funding conservation of African wildlife and communities. We hope to serve as an example of how the joint efforts of the conservation and tourism industries can protect and conserve African wildlife and wilderness in perpetuity. What are some of the most incredible experiences offered by NWS? As a company, we define luxury as something that one has limited access to and this goes hand in hand with the experience. Natural World Safaris itineraries vary hugely. We are the only operator in the world licensed to swim with blue whales in Sri Lanka and remain the only operator to place someone in front of a wild Amur tiger in Siberia. We provide in-depth experiences that put guests at the right place and right time to explore the last wild frontiers. This summer we launched our RAW (Remote, Authentic, Wild) itineraries, which are a selection of pioneering expeditions outside the norm that reveal a different side to oft-visited destinations. Aperture by NWS voyages are purely focused on specialist wildlife photography trips, working with a selection of world-class photographers such as David Yarrow, Keith Ladzinski, Andy Mann and co., giving valuable insight to our guests as they explore far flung corners of the world. 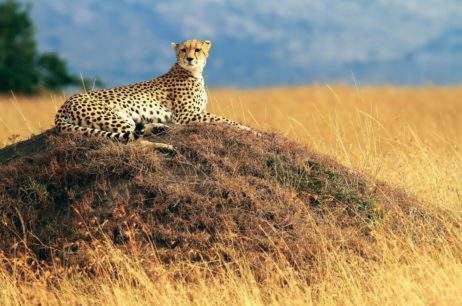 The there’s our one-million-dollar safari, Journey to Nature’s Edge, which offers travelers the chance to experience 18 of the world’s most endangered species at 12 different locations. The specialist insight and technology at our disposal adds another dimension to our itineraries. What’s the most memorable wildlife experience you’ve had yourself? Actually, probably one that involved not seeing any wildlife at all. This was working with one of our Siberian experts tracking and setting camera traps to collate information about Amur tigers in Far Eastern Russia. This experience is truly unique as you walk in the footsteps of the largest feline predator left on our planet, setting camera traps to monitor and protect this highly endangered species. Checking the camera trap footage a few days later raises the hair on the back of your neck as you are not sure what will walk through your camera beam. When a Siberian tiger passed through only five minutes after you have set the camera trap you realize that actually they are monitoring you rather than the other way round. Where have you been most impressed by the landscape? 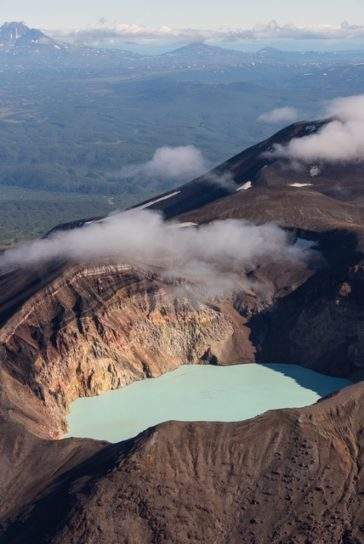 Kamchatka, a peninsular in Far Eastern Russia. With approximately 300 volcanoes and 30 active volcanoes, limited roads and stunning 360-degree vistas, it is truly a pocket of untamed wilderness. What plans and aspirations do you have for the company? To continue to develop new wildlife experiences in new destinations. Throughout the year our team embarks on scouting trips to meet with experts in destinations from Oman to Norway to ensure we can continue to offer what our clients are looking for. Do you think it’s important for travel companies to take responsibility for the conservation and community efforts in the destinations they go to? Absolutely. It is imperative that we invest in protecting areas that we visit. Local communities in remote corners of the world dedicate so much time and effort in preserving and protecting their homes; by investing locally we fortify their future and preserve the natural beauty of exotic landscapes. I often feel there should be one governing body that can be held responsible for ‘eco-tourism’, providing credentials on a global level; if this existed then it may help give some further stricture to the current industry. Find out more about the trips Natural World Safaris leads by going over to naturalworldsafaris.com.